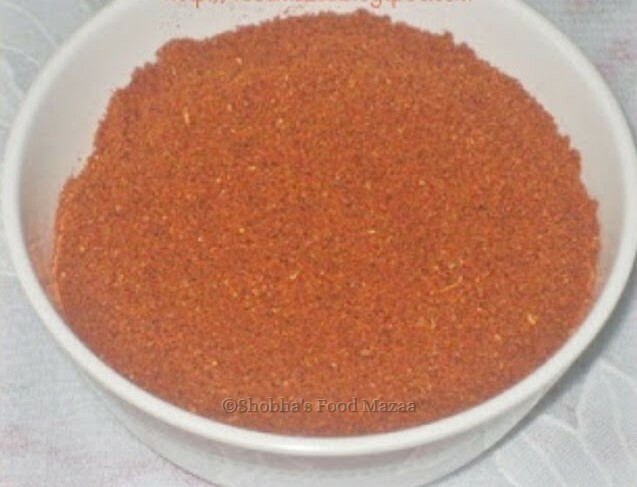 Here is a spicy and flavourful Xacuti Masala Powder from Goa. Spicy food lovers can prepare delicious Goan dishes with this spice powder. Dry roast all the above and grind. Store it in a clean, sterilized bottle. If you want to make it in a large quantity and store it add sea salt while grinding. This increases the shelf life. But remember to add less salt while making the curry. This powder can be used for chicken, mutton, pork, egg, sea food and also vegetarian Goan Xacuti currys. this is just awesome ..yummy..
Nice sharing Shobha, this home made spice is so much better then buying the ready made ones. Due to time crisis in cooking, I have to admit I depend on the ready made ones. True Nava.. sometimes due to lack of time we can't help it. nice flavorful masala..thanks for sharing! Thanks for linking it to my event !! Ha ha .. Jagruti we don't get any spice powders in Brazil.. I have no choice but to make them at home.